We're excited to announce we have an excellent mobile guide for you to use on Guidebook! 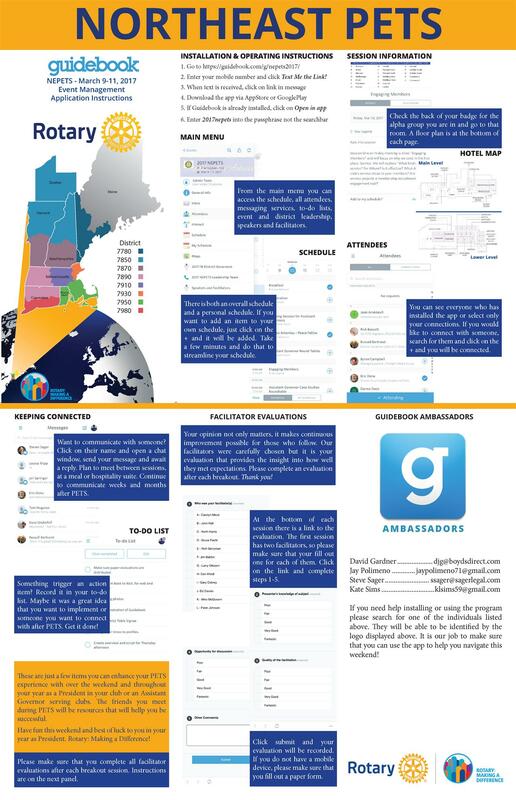 Get the guide to access the most up-to-date information about NEPETS for 2019, including schedules, maps, and much more. Enter your mobile number and click Text Me the Link! Download the Guidebook Instruction Tri-fold or the Guidebook Instruction Poster that explain many of the features. Connect with Facebook or LinkedIn so that you can connect with other attendees. If you need help setting up your profile, click here!